On Thursday, January 29, 2015 Laramie County Sheriff's Department Deputies responded to the 200 block of Waltersheid Blvd regarding a missing child. Deputies interviewed the parents of the child, David and Tommie Kinseley, and it was learned the 7 year old child was part of the "Project Lifesaver Program." According to the Weather Channel the temperature at the time of the call was in the 30 degree range but felt like 20 degrees. The searchers began their search in the 200 block of Waltersheid. The searchers were using hand held receivers. A strong signal was received in the 200 block of Derr Ave. A search of the area found the child in the southeast corner of a yard in the 200 block of Derr on the ground by a trampoline. The child was located at approximately 2017 hrs. The child was unharmed but cold. Total time from the beginning to end of the call was 44 minutes. Total search time for the child was 18 minutes. The child was wearing blue jeans and a dark green Carhart jacket. The child was possibly upset and that is why he left the residence. Point of Contact for further information regarding this release for the Laramie County Sheriffs Department is Capt. Linda Gesell (307) 633-4735. SHERIFF'S DEPARTMENT WARNING ABOUT A TELEPHONE SCAM BY AN INDIVIDUAL POSING AS A LIEUTENANT FROM THE LARAMIE COUNTY SHERIFF S OFFICE. The Laramie County Sheriff's Office has been made aware of a scam by an individual posing as a Lieutenant from the Laramie County Sheriff's Office and using a cloned "307" number. The Sheriff's Office received a report from a citizen who had been left a voice mail from an individual identifying himself as a Lieutenant from the Laramie County Sheriff's Office. He stated that an arrest warrant had been issued for that individual, and for them to call 307-460-1123 for additional instructions. The Sheriff's Office is advising anyone who may receive a call similar to this (regarding a warrant) to contact the Warrants Division (307- 633-4732) to verify the validity of a warrant. If an individual were to receive a call about a valid warrant from the Sheriff's Office, a warrant has already been filed and issued through the Courts. And, if there is a fine involved it would be paid directly to the Courts and not any law enforcement officer. Additionally, you can also contact the Attorney General's Office "Consumer Protection" to report any calls like this, or the Laramie County Sheriff's Department at (307) 633-4700. Point of Contact for further information regarding this release is Captain Gesell at the Laramie County Sheriff's Office (307) 633-4725. The Laramie County Sheriff's Office is warning residents about a phone scam involving red light camera tickets. The caller will claim they are from the sheriff's office and that they are on their way to your home to arrest you. They will claim to have video proof that you ran a red light on a specified date. The caller then will tell you that a warrant has been issued and the only way you can have it dismissed is to make a payment over the phone using a credit card or Green Dot card. The Laramie County Sheriff's Office does not make phone calls regarding camera violations nor does the agency call anyone to make payments over the phone for any type of case. Asking for a name and badge number and stating you will hang up and call the sheriff's office to confirm is the best option to take. If you have Caller ID you may copy down the number for future reference. SHERIFF'S OFFICE ARRESTS ONE IN STABBING INCIDENT. 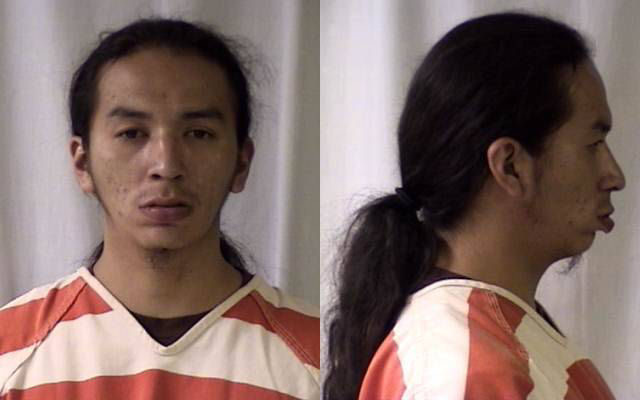 The Laramie County Sheriff's Office has arrested 22 year old Dylan G. Arneecher-Goss of Cheyenne, in regards to a stabbing that occurred Monday evening at 4962 Glenco Drive. Deputies responded to the address after receiving a report of an assault with a weapon at approximately 6:40 PM on Monday evening. Upon arrival 60 year old David Pierce of Cheyenne was found to have been stabbed a minimum of 5 times in the side. The tires on his truck had also been slashed. Pierce indicated that he had been stabbed by Arneecher-Goss. The initial investigation indicates that Pierce had been in an argument with 41 year old Marlo Goss, also of Cheyenne, and then got into a physical altercation with Arneecher-Goss. During this altercation Pierce was stabbed multiple times and Arneecher-Goss received a punch to the face. At some point during this altercation Marlo Goss also received some injuries to the arm and a leg. AMR transported Pierce and Goss to CRMC where they both remain hospitalized. The Sheriff's Office recovered a hunting knife with a three inch blade that appears to be the weapon used by Arneecher-Goss. The investigation remains ongoing and Arneecher-Goss is being held at the Laramie County Detention facility where initial charges are aggravated assault with a deadly weapon and destruction of property. LARAMIE COUNTY SHERIFF'S OFFICE INVESTIGATING FATAL ROLL OVER CRASH NEAR EGBERT. The Laramie County Sheriff's Office is investigating a fatal rollover accident that left one person dead and four others injured or hospitalized on Thursday evening (July 31st) near Egbert. One female juvenile was life flighted from the scene to Cheyenne Regional Medical Center and two other transported by ambulance. Deputies responded to County Roads 219 and 151 (north of Egbert) after the accident was reported to 911 at approximately 7:50PM. Deceased at the scene as 19 year old Sierra J. Deselms of Burns who was the driver of a Ford Ranger pickup that had rolled over. The initial investigation indicates that speed may have been a factor. There were five people in the compact sized pick up. It appears that two of the occupants may have been ejected from the vehicle during the roll over. One other individual fled the scene and was located later about an hour later by the Life Flight helicopter who came back to assist in the search for the Person. Laramie County Search and Rescue had also been called out but canceled after the individual was located. He was found northeast of the crash site and refused transport for medical evaluation. Also responding to the accident Thursday evening was the Wyoming Highway Patrol, AMR, Life Flight, and local Fire District Responders. The investigation remains ongoing. Toxicology results are still pending. Current status of those transported to CRMC remains to be reported as of the time of this Release. Point of Contact for further information is Gerry Luce at the Laramie County Sheriff's Office (307) 633-4725, or Captain Linda Gesell at (307) 633-4735, or, (307) 631-6143. The Laramie County Sheriff's Office is starting a Law Enforcement Explorer program for young people interested in learning about the law enforcement career field and interested in participating in various capacities with the Sheriff's Office. The program, slated to start in coordination with the beginning of the school year, will allow young people who have an interest in a potential law enforcement career to participate in selected training events and assist in a number of capacities related to law enforcement. The program is associated with Boy Scouts of America, and designed to provide potential future career information, leadership experience, character education, citizenship skills, and life skills. Young people who have completed the 8th Grade and are 15 to 20 years old can participate. Seven Deputies from the Sheriff's Office have stepped up to volunteer in putting this program together for the Explorers. This is a new program for the Sheriff's Office and one designed to provide positive learning and career exploration for the participants. The program also allows Deputies from the Sheriff's Office to connect with young people from the area. Those who may be interested in learning more about the Sheriff's Office Explorer Program can contact Lieutenant Don Hollingshead at (307) 633-4736. Point of Contact for further information in regards to the release is Gerry Luce at the Laramie County Sheriff's Office - (307) 633-4725. The Laramie County Sheriff's Office has taken 61 year old Ron Zimmerman of Burns into custody for the Sunday night shooting incident in Burns. He is being held on suspicion of 2nd degree homicide in the shooting death of 51 year old Teresa Zimmerman. Both lived at 116 South Wyoming in Burns. Deputies responded to the residence Sunday evening after a call to 911 from the suspect reporting the shooting incident. Initial investigation indicates that there was an argument between the victim and the suspect and that alcohol may have also been a contributing factor. Teresa Zimmerman was declared dead at the scene from a single gunshot wound. The investigation remains ongoing and Zimmerman is pending his initial court appearance. The Laramie County Sheriff's Office responded to a report of a shooting at 116 S. Wyoming in Burns Sunday evening at approximately 7:51 PM. Upon arrival it was discovered that one individual had been shot and was dead at the scene. One person was taken into custody and subsequently arrested in connection with the shooting. Initial investigation indicates that there was an argument between the victim and the suspect. The victim and suspect were related. The name of the victim has not been released pending notification of relatives. The incident remains under further investigation and charges may be preferred through the District Attorney's Office. The Laramie County Commissioners have designated a Fireworks Safe Shoot site located at 3115 West College Drive. You will be permitted to discharge fireworks at that location between the hours of 8:00 PM. and Midnight July 3 through the 5th. NEW SCAM WITH TWO VARIATIONS INVOLVING PUBLISHER'S CLEARING HOUSE NAME SHOWING UP IN AREA. The Laramie County Sheriff's Officehas received reports from several individuals saying that they received calls either promising to show up and present awards, or that they had received a real looking check in the mail that looks authentic. However, both scams require people to submit money back to the originator using Publisher's Clearing Houses name before receiving a prize. Publisher's Clearing House does not require any monies for receiving a prize. One states that the individual is winning an unclaimed 1.5 million dollar prize. Included in the letter is a check for an amount in the thousands of dollars to help cover legal transfer fees as well as a "security code", a point of contact with a phone number who may provide you further false instructions for payments to the scammer. The scam is; the check may be cashed initially, however, the account is false and the victim ends up responsible for the money for the cashed check, as well as the personal check written to the scam artist. The other scam is a phone call to the intended victim stating they have won a new vehicle and $450,000 in cash. The scammer states that they will be out to the victims address present the winnings with a lawyer and two U.S. Marshals. However, they require a fee be sent prior to arriving at the residence. The numbers given to call back appear to originate in Jamaica. As with other recent scams the individual will tell the intended victim to go a business and purchase a "Green Dot" card / number and provide that to the scammer. This has become common practice for scammers. If you receive unsolicited calls, letters, or, checks with letters like this in the mail, especially with no prior knowledge of the sender, and it sounds too good to be true it is most likely a scam trying to victimize the receiver. Law Enforcement advises that if you receive these scams, or have questions about scams, contact your law enforcement agency at (307) 633-4751 or (307) 637-6583. Point of Contact for further information is Gerry Luce at the Laramie County Sheriff's Office (307) 633-4725, or Deputy Raymond Nelson at (307) 633-4751. Authority for Release is Undersheriff Rich Hillegas. The Laramie County Sheriff's Office has been made aware of another phone scam that is using threats of arrest if individuals do not pay a fine and fees for missing jury duty. A male is calling people identifying himself as Lieutenant Gore with the Laramie County Sheriff's Office. He tells the victim that due to a "Failure to Appear" for Jury Duty, a warrant for their arrest has been issued. The suspect instructs them to either turn themselves into local law enforcement, or pay the warrant bond. He tells them to go to Walgreens and purchase a Green-Dot Cash Card in the amount of the fine. According to Walgreens, a Green Dot Card is a cash card with a maximum limit of $500.00. It is a pre-paid debit card. Once the victim purchases the card, they are to call the suspect back, and give them the card number and the pin code off of the back of the card. This way the suspect gets the money and disappear. 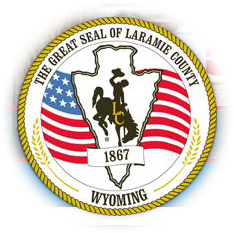 The Laramie County Sheriff's Office does not and has not had a Lt. Gore employed here. Anyone receiving a call like this should not agree to pay any fine. If there are any questions about jury duty and/or jury duty procedures, call the Clerk of the District Courts Office at (307) 633-4270. Also, The Sheriff's Office is advising anyone who may receive a call similar to this or regarding a warrant can contact the Warrants Division (307- 633-4732) to verify any questions about validity of a warrant. Additionally, you can also contact the Attorney General's Office "Consumer Protection Division" to report any calls like this as well as the Sheriff's Office at (307) 633-4700. Authority for Release is Captain Gesell. SHERIFF'S OFFICE ALSO OFFERING PRESCRIPTION DRUG TAKE BACK THIS SATURDAY. The Laramie County Sheriff's Office will be at three locations this coming Saturday (April 26th) from 10:00AM through 2:00PM to take back any unwanted, unused, prescription, or, over the counter drugs. The Sheriff's Office will join other local law enforcement agencies in continuing this successful program at three additional locations for county residents. The three locations are Town and Country Pharmacy at 514 South Greeley Highway, Laramie County Fire District #2 at 5800 North College, and the Pine Bluffs Town Hall at 200 Main Street. This Sheriff's Office has taken in over 750 pounds of unused and unwanted prescription drugs since the program inception. The purpose of these Drug Take Back Day's is to allow citizens to safely dispose of unused or unwanted prescription drugs in an environmentally safe manner and keep those drugs out of the hands of unauthorized persons or juveniles. Drugs that have been taken in have ranged from over the counter drugs to narcotic prescription pills and liquids. Once again, no illegal drugs, sharps, thermometers, oxygen containers, radioactive materials, pressurized containers, or chemotherapy drugs will be accepted. For further information you can contact Lieutenant Kevin James at (307) 633-4773. Point of Contact for further information regarding this release for the Laramie County Sheriff's Office is Gerry Luce (307) 633-4725 or Lieutenant Kevin James at (307) 633-4773. Agencies Involved: Laramie County Sheriff's Office; Animal Control. At about 1241 hours on 4-17-14, Deputies from the Laramie County Sheriff's Office responded to a report of shots fired in the area of Links and Jack Rabbit Roads. Deputies determined that a woman, Yvette Dalley, was walking her dog, a golden retriever, in the area when they were attacked by two pit bulls. When Dalley's attempt to ward off the pit bulls failed she pulled out a pistol and fired three shots at the pit bulls. Dalley appeared to be unharmed as the attack by the pit bulls centered on her retriever. One pit bull was fatally wounded and the other pit bull ran off but was later recovered by Animal Control. Animal Control was called to the scene by the Sheriff's Office to investigate the incident. Dalley transported her dog to a vet clinic and the dog was treated and released. While at the clinic Dalley met the owner of the pit bulls, Stefanie Juarez, who had brought in her wounded dog. The Animal Control officer investigating the case said that Juarez agreed to pay for the vet bills incurred by Dalley, and that being agreeable to Dalley, no citations would be issued to Juarez. The Sheriff's Office will not be pursing any action against either Dalley or Juarez regarding this incident. SHERIFF'S OFFICE INVESTIGATING HORSE TAIL CUTTINGS. The Laramie County Sheriff's Office is investigating two incidents where tails have been cut off of horses in rural parts of the county. The reported incidents have occurred at locations on County Road 109 (western Laramie County) and County Road 138 (in eastern Laramie County). In both of these incidents, the suspect or suspects, knew the residents were not home and entered pastures on the property to cut up to half of the horse's tails. One incident appears to have been committed during daylight hours and the other during an unknown time frame. The Sheriff's Office is asking any other residents who may have experienced similar incidents to report them through Laramie County Combined Communications, or at the Sheriff's Office at (307) 633-4789. And, to be alert for, and report any suspicious individuals or vehicles to law enforcement as soon as possible. As always, anyone who may have any information on these crimes can also contact Silent Witness / Crimestoppers at 638-TIPS (638-8477) and remain anonymous, and, may be eligible for a cash reward up to $1,000. Individuals who are caught and convicted of committing these crimes could be subject to charges of animal cruelty, trespassing, and misdemeanor or felony larceny. The investigations into these incidents remain ongoing. The Laramie County Sheriff's Office has appointed Cheyenne resident Melanie Gothard to lead the Reserve Program for the Sheriff's Office. The promotion to Lieutenant and assignment as the head of the Reserve Program took effect on February 4th. Gothard is the first female Reserve Lieutenant in the history of the Sheriff's Office and first female command officer for the program. The Reserve Program began in 1976 under then Sheriff Dennis Flynn. The Reserve Program consists of civilian volunteers who are certified Peace Officers and/or Detention Officers in the State of Wyoming. They have the same certification and hiring standards of any full time Peace Officer in the State while having the same law enforcement authority. The program also has a number of Community Service Volunteers who assist the Reserves and the Sheriff's Office in a variety of programs carried out by the Sheriff's Office. Currently the Sheriff's Office has 20 Reserve Deputies and 8 Community Service Volunteers. Sheriff Danny Glick stated that, "Gothard was selected based on her dedication to the program, demonstrated leadership, and continuously helping citizens of the County in so many ways". She has served in various capacities with the Sheriff's Office since 2003 and completed her Wyoming Peace Officer Basic Program in 2009. She also served with Search and Rescue since 2002 and remains a dog handler who works with one of the few cadaver dogs in the area. She remains active in a wide variety of other community programs in the Cheyenne area. SHERIFF'S OFFICE ARRESTS THREE IN BANK ROBBERY CONSPIRACY AND FOR STOLEN TRUCK AND FIREARMS. The Laramie County Sheriff's Office has arrested three Cheyenne men on charges of Conspiracy to Rob the Burns Bank and possession of a stolen truck and stolen firearms. Arrested was 20 year old Cody L. Dysart, 25 year old William T. McCurdy, and 28 year old Derrick A. Gifford, all of Cheyenne. Dysart and McCurdy were arrested on February 12th and Gifford on February 13th. The three men are alleged to have been involved in stealing a truck and firearms. The truck and guns were recovered in Colorado. The truck was stolen here in Cheyenne, while the firearms were taken from an acquaintance of one of the suspects in Colorado prior to the bank robbery. The initial investigation indicates that the three men attempted to rob the Burns Bank during the early morning hours of January 31st. Although parked behind the bank, they attempted to gain entry to the front door, but were thwarted when the bank employees had locked the doors behind them when entering to start employment that morning, and the front doors remained locked. They were then scared off when a report of their stolen truck was broadcast over the police scanner they were listening to. Bank employees were not contacted, nor aware at the time that the attempt was being made. Information received from the Wyoming Division of Criminal Investigation concerning a separate investigation indicated that one of the suspects had been talking about robbing the Burns bank. During the Sheriff's Office investigation further information was developed that identified the three suspects and consequently recovered the stolen truck and firearms. The case remains under further investigation and the three individuals remain in custody in the Laramie County Detention Facility pending their initial appearance in court. The Sheriff's Office and Clerk of the District Court's Office have received reports from citizens who had a call from an individual claiming that the victim missed jury duty and must pay a fine and fees otherwise a warrant would be issued and they would be arrested. The person is told to get a"Green Dot" payment at a chain convenience store (one not located in this area), or, at a Family Dollar Store and immediately set up the payment code. The phone number that may show up may be a"cloned" local cell phone number and the person may identify themselves as a law enforcement officer from a local law enforcement agency. Callers have stated they were either from the Sheriff's Office or Cheyenne Police. When challenged the individuals have been hanging up.